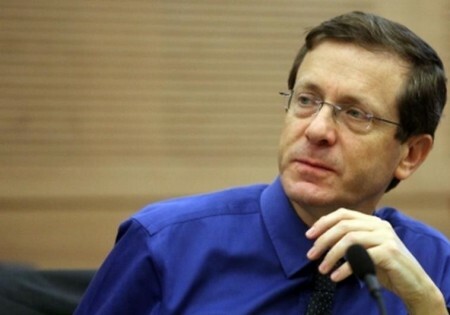 Isaac Herzog, the leader of Israel’s Labor Party, has made an election appeal at a prominent US forum. Speaking at the Saban Forum in Washington on Friday night, Herzog said he would defeat current Prime Minister Benjamin Netanyahu in the March vote and take the office because the Israeli public “trusts me”. Herzog is allying with Tzipi Livni, fired as Justice Minister this week, and the head of the centrist Kadima Party, Shaul Mofaz. The Labor leader also did not rule out working with Foreign Minister Avigdor Lieberman, the leader of the right-wind Yisrael Beitenu Party: “For me, all partners are possible, from [leftist party] Meretz to Lieberman’s party.” He said Arab parties might support his bloc from “the outside”. While saying that he had no illusions, Herzog said he would renew efforts — broken off by Netanyahu in late April — at a two-state solution with Palestinian Authority leader Mahmoud Abbas. He said his policy on Israeli Jewish settlements in the West Bank would follow parameters set by former US President Bill Clinton: a Palestinian state in 95% of the territory, Israeli annexation of the settlement blocs, and a divided Jerusalem as the capital for both Israel and Palestine. NextBBC Radio: Why Did 2 Britons Get 12-Year Sentences for Fighting Assad?